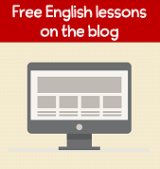 I've put together this FREE ebook to help YOU learn and remember vocabulary words about twenty important everyday English topics. 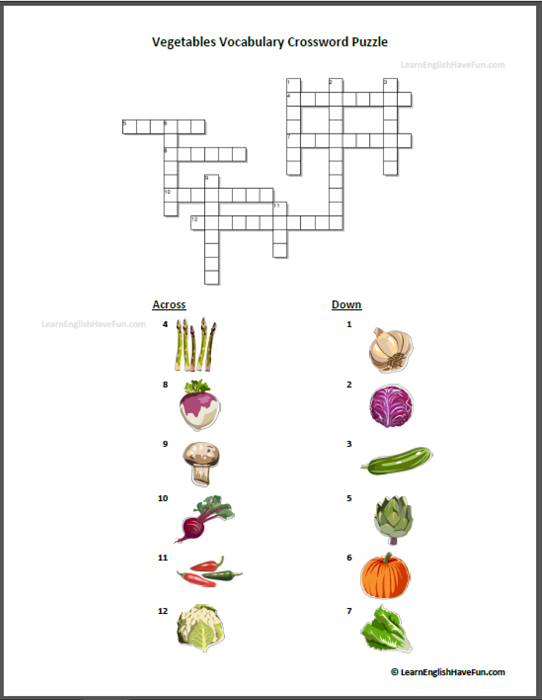 Do you like doing puzzles? Then you'll LOVE this ebook. 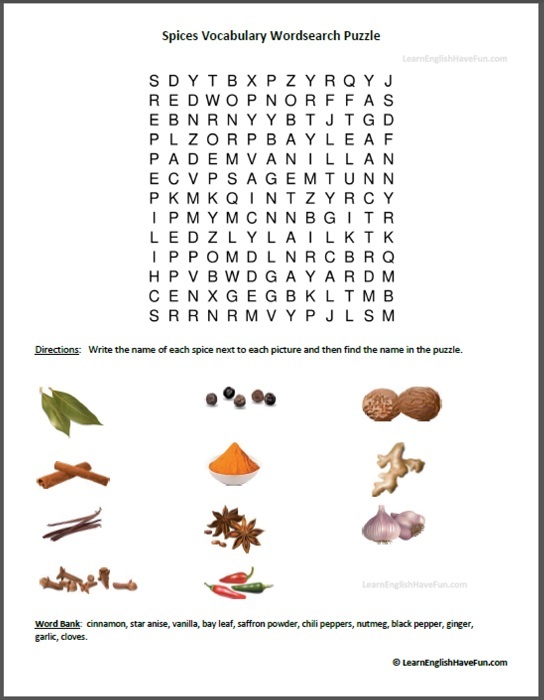 I've created wordsearch puzzles, cross word puzzles and word scramble puzzles. 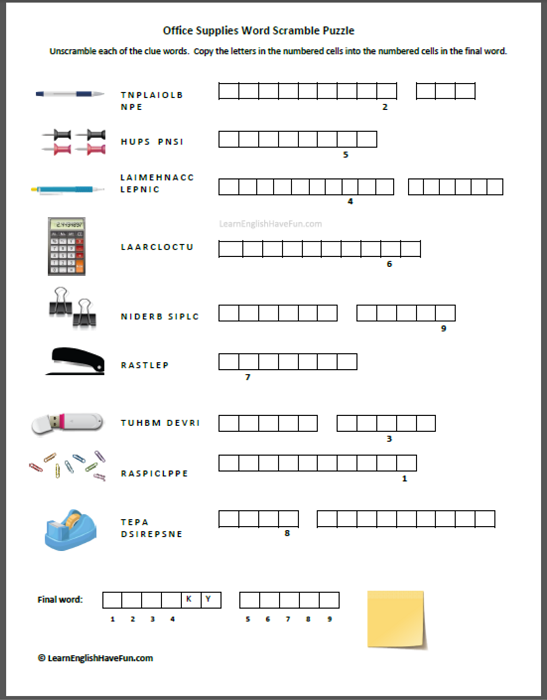 More than 25 different puzzles are included in the book. Here are the topics covered: Animals, baby and infant, beverages (drinks), cleaning supplies, clothing, cosmetics (makeup), emotions (feelings), fruit, household appliances, illnesses (sicknesses), kitchen appliances, musical instruments, occupations (professions/jobs), office supplies, shapes, spices, sports, tools, vegetables and weather. 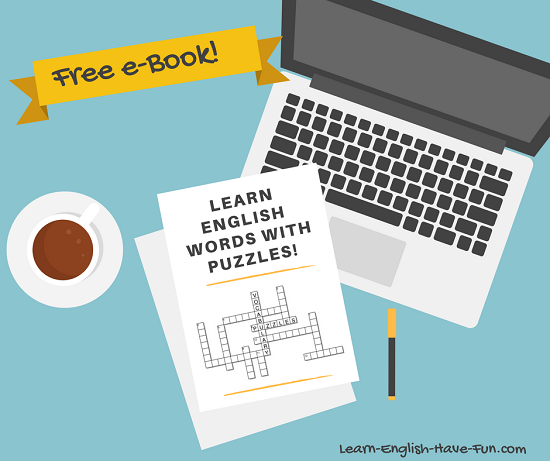 Even advanced-level learners will find many of these puzzles challenging and add valuable words to their English vocabularies. Along with the ebook, you'll receive my weekly newsletter which offers free lessons, tips, audio articles, free mini-courses and advance notice to contests and specials. Thanks for visiting and please let me know what you think of the puzzles book!